At some point in your life, there may come a time when you have to move your dining room table. Due to its size, weight and high value, moving a dining room table can be difficult. Knowing how to properly move your dining room table will help to mitigate the chances of damage occurring during the move. While moving a dining room table can be difficult, there are some tips you can follow to make it easier. Try out these to help you move your dining room table with ease! Clean off the Table: Before you can move the table, be sure to clean it off. First, dust the table then use a manufacturer approved cleaner to clean the table. Remove the Legs: While it is possible to move the table with the legs still attached, it will be lighter and much easier to move if the legs are removed. There is also a greater chance that the legs of the table will be dinged during the move if they are not removed. To protect the table while removing the legs, spread a soft and thick blanket on the floor and lay the table upside down on top of it. 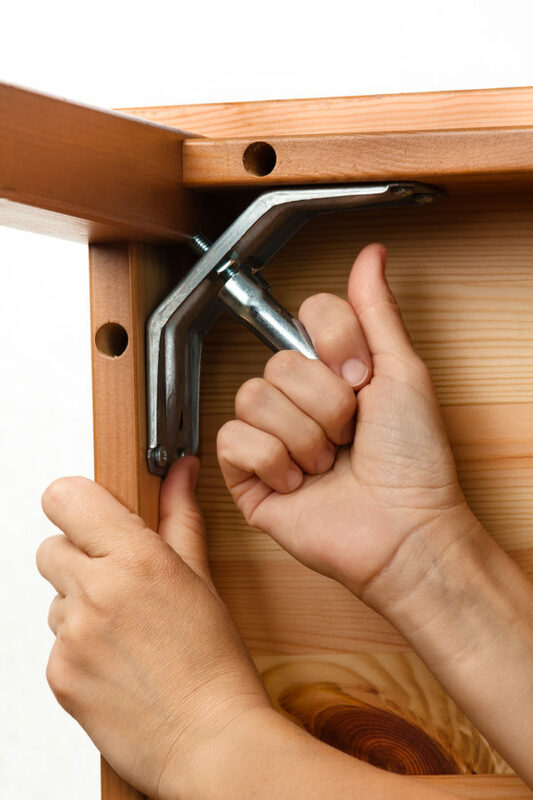 If the legs are attached with screws or bolts, remove the screws or bolts using a tool and place them in a plastic bag. Tape the plastic bag under the table to keep it safe during the move. If the legs are attached to the table with glue, use a putty knife to remove the seal. If you are unable to remove the legs, wrap them in bubble wrap or think blankets. Secure the wraps to the table legs using packing tape. Remove the Leaf or Table Extension: If the table has a leaf or extension, remove it before moving the table. Once the extension has been removed, wrap it in protective covering. Tape the underside of the table where the extension was removed from together to secure it during the move. Keep the Corners Safe: Fold cardboard around the table corners to keep them from getting dinged during the move. Utilize a Dining Table Protector: In order to keep your dining room table from getting dinged during the move, utilize a dining table protector. A thick blanket can be used as a dining table protector. Secure the protective cover to the table using packaging tape. Are You Moving and Need a Location to Store Your Table? Lighthouse Self Storage has storage facilities throughout in Whittier, CA, Westminster, CA, Oceanside, CA, Carson, CA, Homestead, FL, Fort Lauderdale, FL, and West Palm Beach, FL, ready to meet your storage needs. We have storage units ranging in various sizes, perfect for storing just a dining room table, to a dining room table, couches and other furniture. Are you interested in learning more about a storage unit rental with Lighthouse Self Storage? Contact us today!